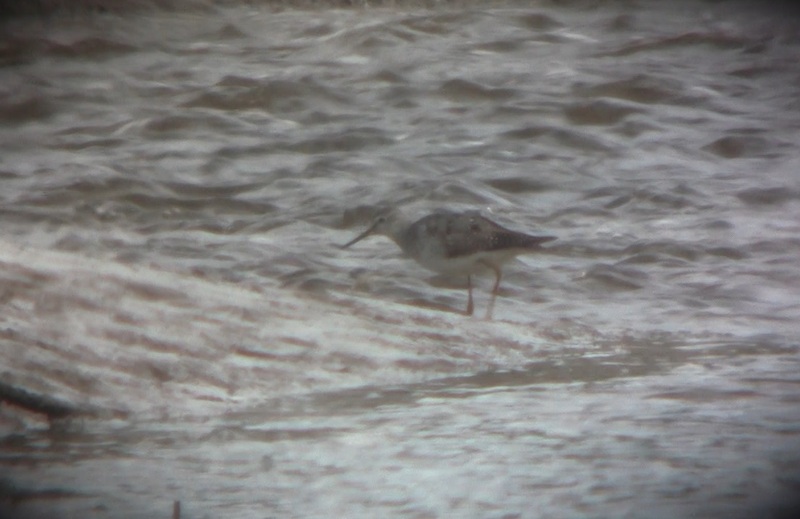 After Bill Aspin, Tony Disley and Tom Darbyshire had a tantalisingly brief Lesser Yellowlegs at Brockholes last week, I was left feeling a tad deflated and hoped it would turn up somewhere else locally. 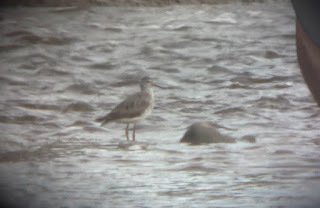 I tried myself at Alston Wetlands and Grimsargh reservoir several evenings, to no avail. 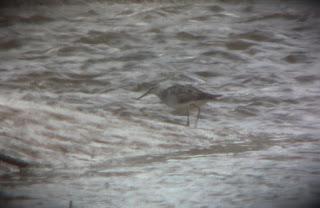 I was pleased last night then, when it was relocated at Condor Green up near to Glasson. Danni was still with me after our weekend at Birdfair, so first thing this morning, we headed north and started scanning the creek through the many Redshank. 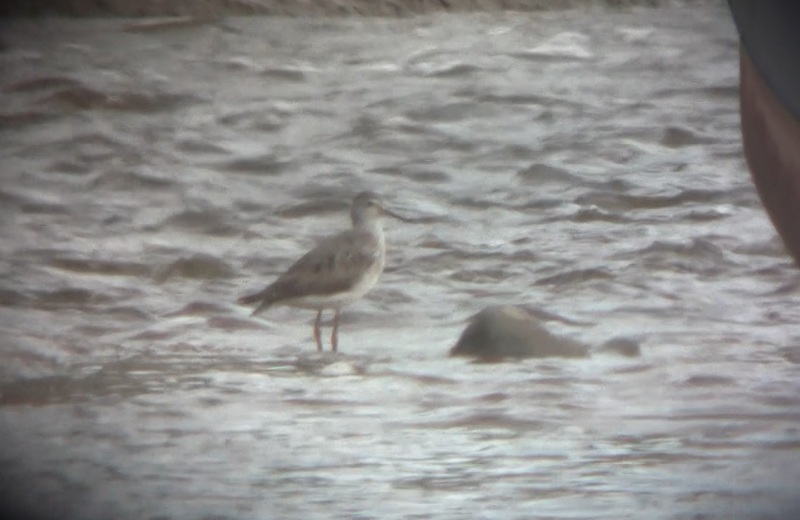 2 Ruff and a Snipe, were the only obviously different birds amongst the Redshanks, Common Sandpipers and Curlew. 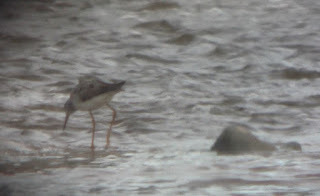 We viewed a second time from the layby next to Condor Pool and it wasn't long before I picked up a distant, skinny wader with thin legs, thin bill, long tapering read end, long primary projection, obvious orbital ring and supercillium. It was the Lesserlegs and a lovely bird at that. 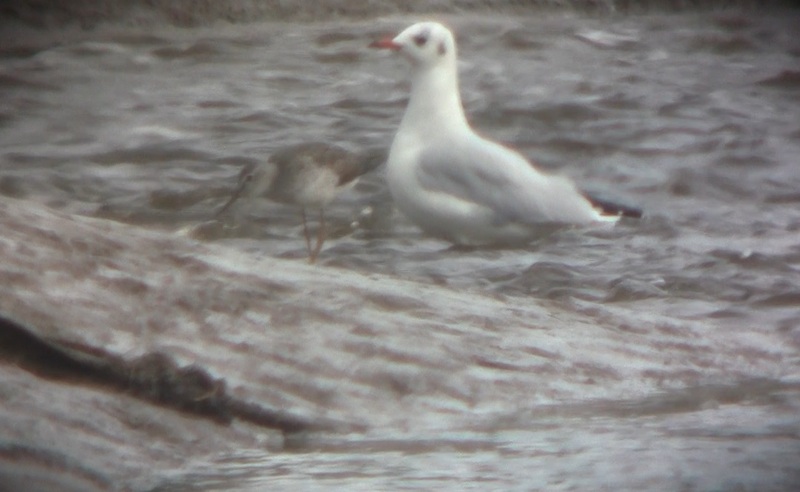 We got nice views as it fed in the creek, but went out of view after a few minutes.